J.G. 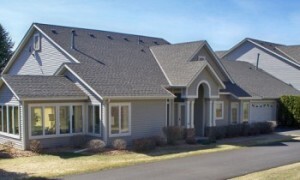 Hause Construction is an elite roofing and siding contractor serving the White Bear Lake area. If you are searching for a roofing or siding contractor in White Bear Lake, J.G. Hause Construction, Inc, is a local preferred contracting team for your next roofing or siding project. Over the past 34 years J.G. Hause Construction has installed thousands of roofs and building sidings in White Bear Lake and the surrounding areas. We have developed a reputation for service excellence on roof installation and siding projects. J.G. Hause is a family owned and operated construction company dedicated to providing you with quality product and craftmanship to guarantee satisfaction and comfort knowing you selected the right company for your project. Our knowledgeable representatives will drive to your home or project and give you a free and timely estimate and consultation. With so many projects completed in the White Bear Lake area, J.G. Hause Construction is the preferred contractor for your next siding and roofing project!